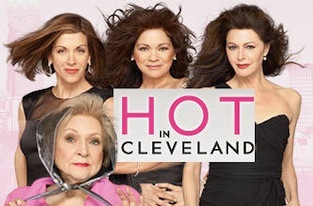 The Wednesday, June 16th premiere of TV Land's Hot In Cleveland drew the most viewers ever for the network and also ranked as cable's most-watched program of the day. Starring Valerie Bertinelli, Betty White, Wendie Malick and Jane Leeves, the broadly drawn sitcom had 4.75 million total viewers nationally, two million of them in the network's 25-to-54-year-old target audience. An immediately following encore episode added another 2.4 million viewers, half of them in the 25-to-54 age range. In a premise that harkens to The Golden Girls, three women feeling insecure about their advancing years move into a Cleveland rooming house after their plane makes an emergency landing en route to Paris. White, the last surviving original Golden Girl, plays the property's spry, opinionated caretaker. TV Land launched in 1996. Hot In Cleveland is its first original scripted series, with former Will & Grace star and recent Tony Awards host Sean Hayes serving as a co-executive producer. ***It's taken awhile. But David Letterman's CBS Late Show has tied Jay Leno's NBC Tonight Show among advertiser-craved 18-to-49-year-olds for the first time since Leno returned to replace Conan O'Brien on March 1st. Both shows averaged a .9 national rating in this key demographic for the week of June 7-11. Letterman also has been closing in with total viewers. The latest Nielsens showed him averaging 3.5 million viewers to Leno's 3.6 million. O'Brien was being beaten by Letterman in both audience measurements until Leno immediately turned the tables back in Tonight's favor. 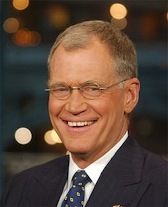 In the early summer at least, Letterman is showing signs of renewed life while Leno fights to hold him off.